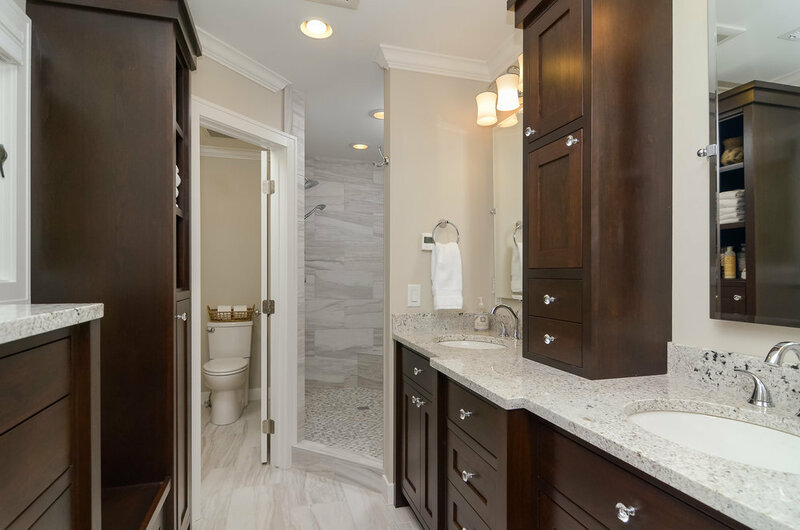 In the original layout this Master bath had two seperate rooms, dividing the vanity area and the tub/shower and water closet. 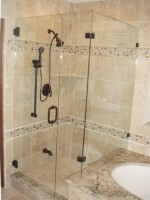 The homowners wanted a bathroom they both could enjoy with a style that should be timeless. 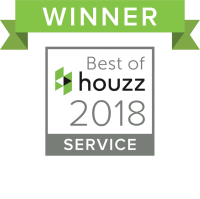 By removing the partition wall it opened up to much more natural light thus making the space into one large light-filled room. 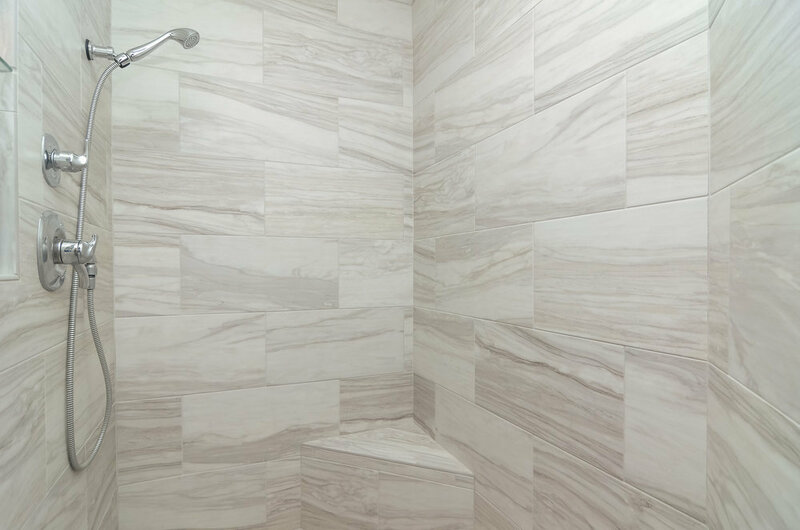 The tub was eliminated and a large walk-in shower with a bench and tiled with large 12X24 white porcelain tiles and matching acrylic grout. 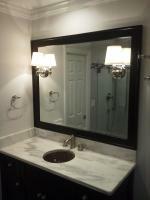 The vanity is custom made white painted shaker style with retro faucets and fixtures. 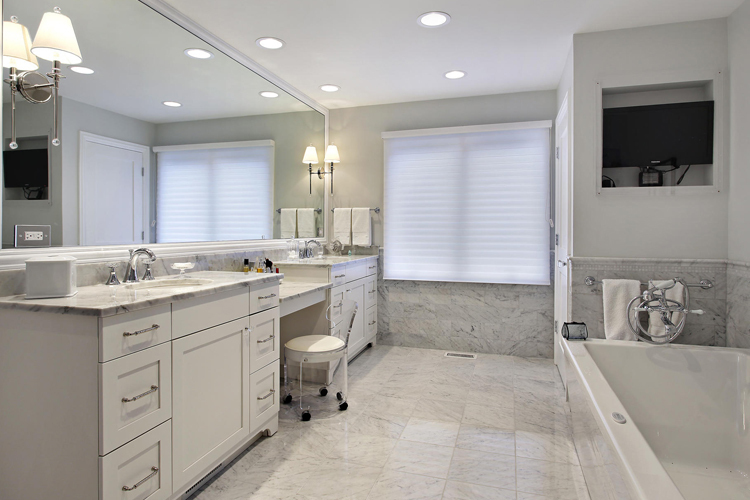 Montclaire Marble finishes off the countertop beautifully with rectangle under-mount sinks. 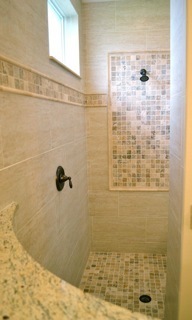 West of Trail, Sarasota, FL. 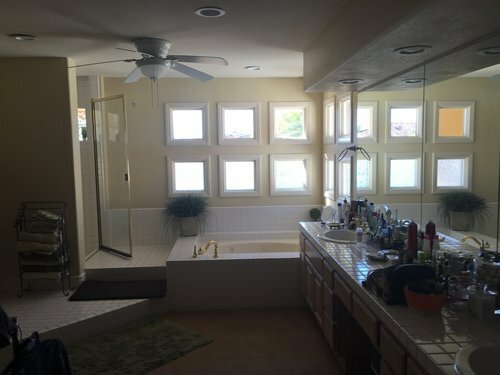 A dated, Pepto pink bathroom gets a face lift. 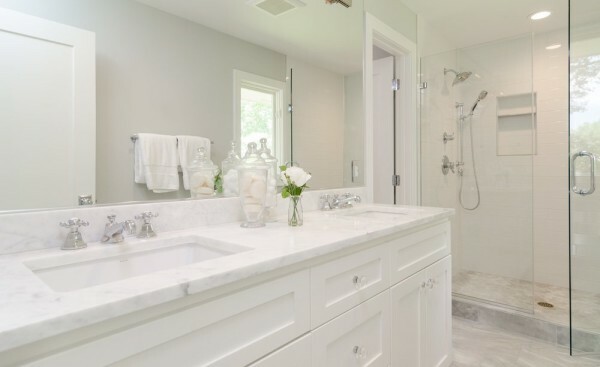 The client desired to remodel their 1960's Bathroom into a bright relaxing space, while staying within the existing footprint and time era of the period. 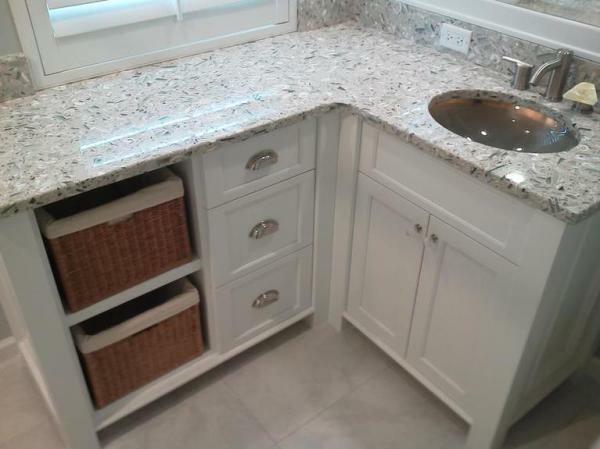 In this West of Trail Sarasota, Florida bathroom remodel, the custom made shaker style cabinetry accomodates wicker baskets for the retro look. 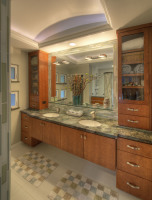 Beach glass countertop blends in perfectly for their homes design. 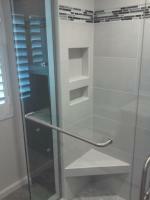 Before and After Bathroom Remodel Projects in Sarasota FL. 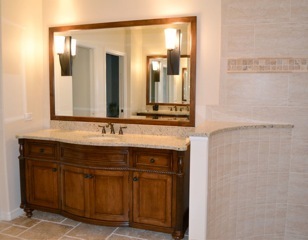 This beautiful Venice Florida bathroom remodel has a new traditional feel with a warm mediterranean twist. 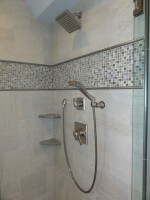 The new shower walls have 12X24 porcelain tiles in subway style with a hand shower and overhead rain shower head. 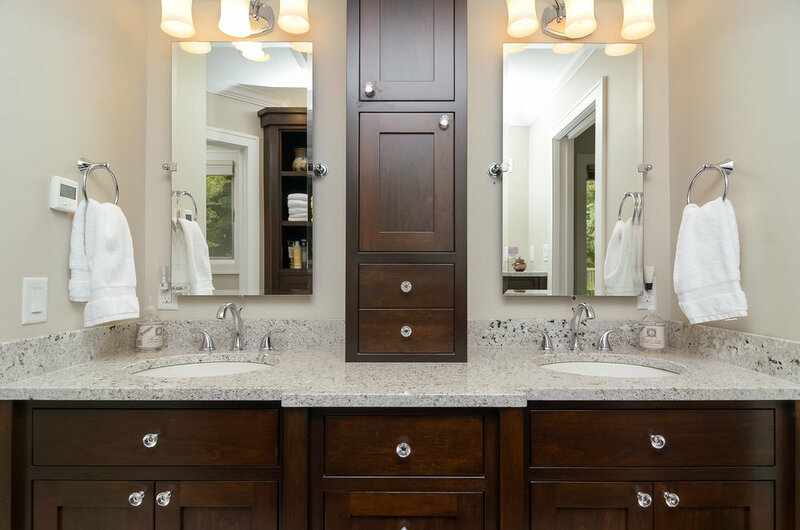 The custom made vanity cabinet provides extra storage space for linen and cosmetics and separation for dual use. 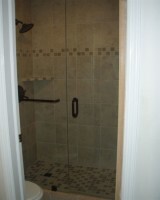 30” cabinets and much easier on the back. 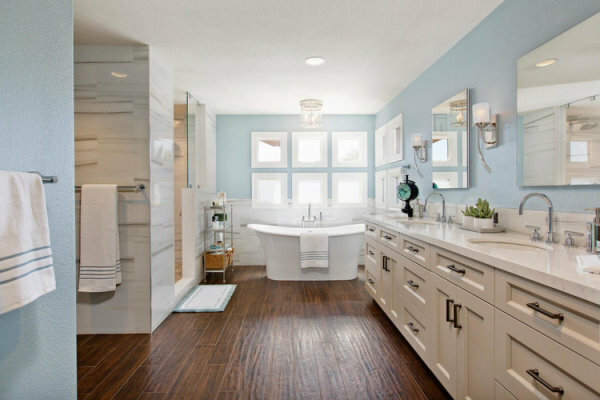 The flooring used is porcelain planks to resemble real wood and blend in perfectly for the beach side retreat. 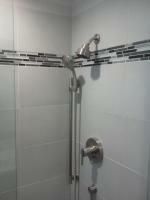 The classic modern soaking tub is a great relief spot after a long day and works well for the bathroom focal point. 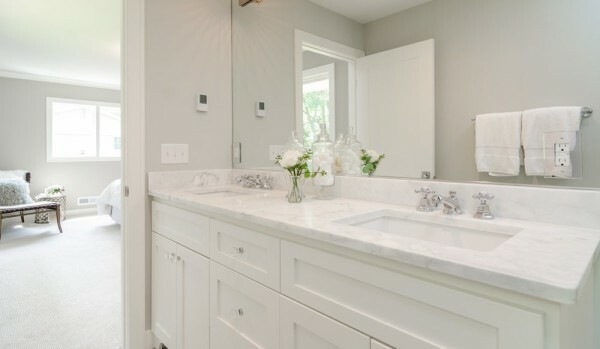 With so many styles, fixtures, finishes, and fittings available, it can be hard to narrow down what you really want your remodeled bathroom to look like. 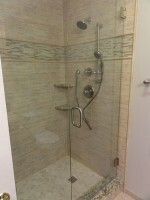 A well know bathroom designer maybe what you need to get started. 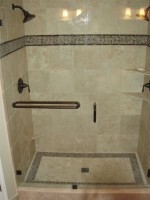 James Anderson has been designing and remodeling Kitchens and bathrooms for over 30 years. 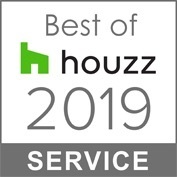 We've built a reputation for providing quality at a reasonable price and bringing a homeowners dream bathroom remodel to life. 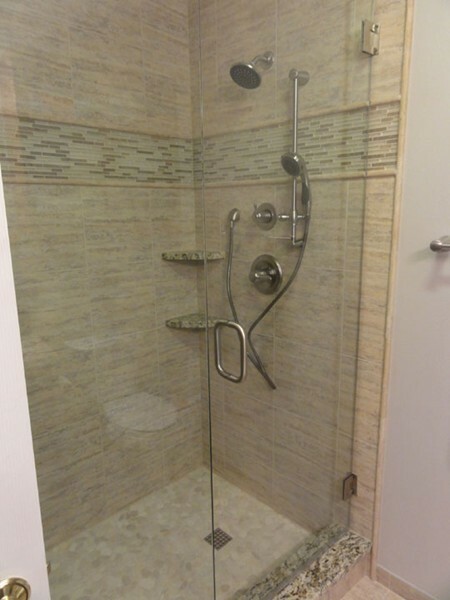 If you’re planning a bathroom remodel but aren’t sure how your bathroom layout and style could be changed, our before and after bathroom remodeling pictures are a great place to start.